Here is your weekly round-up of crime reported across Midlothian by Police Scotland, for January 14-22. On January 16, officers on patrol in Thornybank Square, Dalkeith, observed a vehicle driving erratically. The vehicle was stopped, and the male driver found to be driving without a licence and valid insurance. 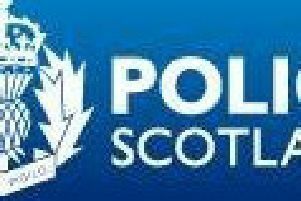 The male driver and registered keeper of the vehicle were charged with road traffic offences and a report has been submitted to the Procurator Fiscal. On January 17, officers on patrol in Newbattle Road, Dalkeith, recovered a small quantity of controlled drugs in the possession of a 39-year-old female. A report has been submitted to the Procurator Fiscal. On January 19, officers on patrol in Eskbank Road, Dalkeith, recovered a small quantity of cannabis from three 16-year-old males. A report has been submitted to the Procurator Fiscal. On January 19, officers attended the report of a driver under the influence of alcohol at Woodburn Park, Dalkeith. On arrival, the male driver was found to be driving above the prescribed limit and arrested. The male was charged, and a report submitted to the Procurator Fiscal. On January 20, officers recovered a small quantity of cannabis in the possession of a 57-year-old male in the area of Easthouses Road, Dalkeith. A report has been submitted to the Procurator Fiscal. On January 20, funded MCAT officers observed a 16-year-old male drinking alcohol in a public place in Hardengreen. The male was reported to the Procurator Fiscal. On January 21, funded MCAT officers on patrol in the area of Easter Shawfair, Danderhall, recovered a small quantity of cannabis in the possession of a 24-year-old male. A report has been submitted to the Procurator Fiscal. On January 16, officers on patrol in the area of Lawfield Cottages, Mayfield, recovered a small quantity of cannabis in the possession of an 18-year-old male. A report has been submitted to the Procurator Fiscal. On January 17, funded MCAT officers searched a property under warrant, in The Square, Newtongrange. Following the search an 18-year-old male was arrested and charged with several counts of vandalism, and held to appear at Court on January 18. On January 17, funded MCAT officers on patrol in the area of Edinburgh Road, Penicuik, recovered a small quantity of cannabis in the possession of a 17-year-old male. A report has been submitted to the Procurator Fiscal. On January 19, officers on patrol observed a vehicle driving erratically in Pentland Terrace, Penicuik. The vehicle was stopped, and the driver found to be without insurance. The vehicle was seized, and the male reported to the Procurator Fiscal. On January 14, officers observed a 23-year-old female driving her vehicle whilst using her handheld mobile device at Lasswade Road, Loanhead. The vehicle was stopped, and the female was charged, and reported to the Procurator Fiscal. On January 16, officers on patrol in the area of High Street, Bonnyrigg, observed a vehicle being driven erratically. The vehicle was stopped, and the driver found to be without insurance. The vehicle was seized, and the male reported to the Procurator Fiscal. On January 17, officers attended the report of a 52-year-old woman acting in an anti-social manner at Eskbank Road, Bonnyrigg. She was charged in relation to the incident, and a report submitted to the Procurator Fiscal. On January 19, officers on patrol in the area of Cockpen Road, Bonnyrigg, observed a vehicle driving erratically. The vehicle was stopped, and the 49-year-old driver charged with careless driving. A report has been submitted to the Procurator Fiscal. On January 20, funded MCAT officers on patrol in the area of Hillhead, Bonnyrigg, observed a vehicle driving erratically. The vehicle was stopped, and the 21-year-old driver found to be without insurance. The vehicle was seized, and the driver reported to the Procurator Fiscal. On January 20, officers on patrol in Rosewell Road, Bonnyrigg, observed a motorcycle driving erratically. The motorcycle was stopped, and the 21-year-old driver found to be without insurance. 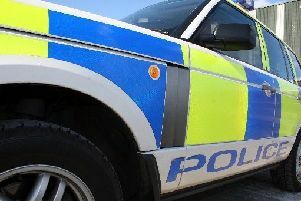 The vehicle was seized, and the driver was reported to the Procurator Fiscal. On January 20, funded MCAT officers recovered a small quantity of cannabis in the possession of a 22-year-old man at Butlerfield Industrial Estate, Bilston. A report has been submitted to the Procurator Fiscal. On January 20, funded MCAT officers on patrol in the area of Eskgrove Drive, Bilston, recovered a small quantity of cannabis in the possession of a 19-year-old male. Areport has been submitted to the Procurator Fiscal.